I love potatoes cooked in any way...boiled, baked, fried or mashed...name it and I will gobble it down :)) Yup I am a big fan of potato * wink but becoz of its starch content, I cook them once in a blue moon. For this once, I boiled it till cook, cut into halve , scoop out the potato from its jacket and mixed with mustard & dill sauce, chopped parsley and rosemary, grated cheddar cheese, black pepper , cajun powder, olive oil and sea salt. Fill the potato mixture into the jackets and topped with more cheddar cheese. Drizzle more olive oil on to the filled up potatoes and baked in a preheated oven at 200 C for 25 minutes or till golden brown. Simple yet delicious. Preheat the oven at 200C . Scoop out the cooked potato out of its jackets. Add in all the ingredients A into the scoop potato and mixed till well combined. Let it stand for 15 mins. Filled back into their jackets and topped with more grated cheddar cheese and decorate with sprigs of rosemary. Placed them on a baking sheet and drizzle olive oil on to the potatoes ready for baking. Bake in the oven at 200 C for 25 mins or till golden brown. Serve as an appetizer. an extraordinarily small quantity would suffice "
Hi Elin, I love potatoes too. 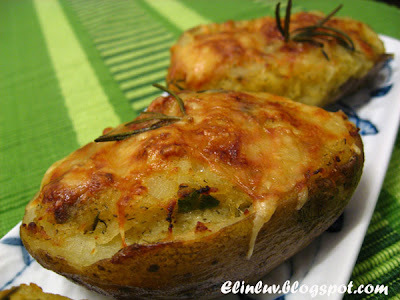 I'd gobble the potatoes if any in my menu but skip the rice :) I've never tried baked potatoes. Looking at the photos, it's worth trying. Topped with cheese..yum! Btw, did u receive invites to my blog via email? ooo u r making me hungry..
nice..i m sure its soooooo delicious. yooo..hoooo... i m back.. back to seeing your blog at last! how is it? must be cheesy.. gosh, that must be fattening but u r still slim.. and gentle.. so ok lar.. This is great for my saturday pot luck! everyone's gona love cheese and potatoes..! hihii..I want to make this as my Light Meal. Aha! My daughter loves potatoes! Must tell her about this recipe. I'm sure she'll want to try it out! 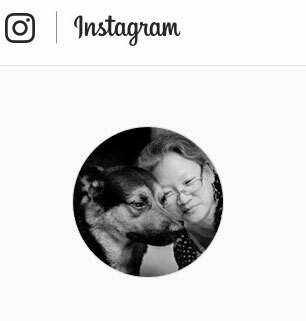 Tnx, Elin! Hi Zurin...LOL that's all you can say! 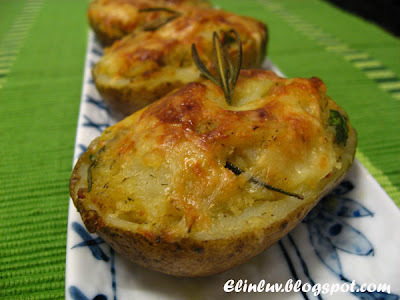 Hi Anncoo...haha got ahead and make them...delicious the spices and herbs makes the potato tasty and flavorful...cheese too yummy! Normally baked potatoes don't look that appealing to me, but these look so succulent that you have made me want one, for real. My kids would love this. 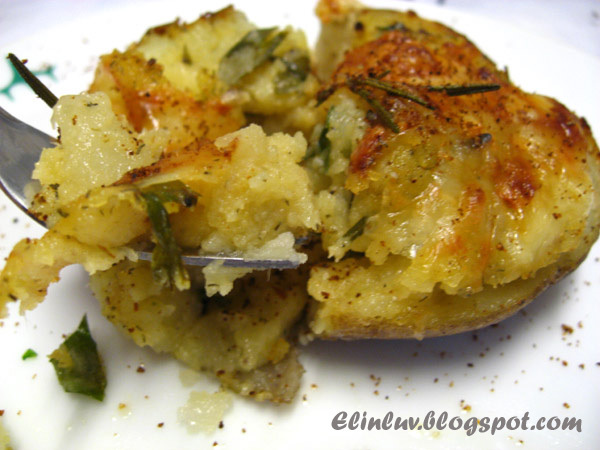 Potatoes cheese and herbs, how cool is that! I made this last week and my kids love it so much! I like it too. Smell terribly good, isn't it? I haven't done any baked potatoes yet. Yours look so scrumptious!